Working with heights is mainly associated with the building industry and can be extremely dangerous. Whether you work on ladders, scaffolding, cranes or on roofs, they all present safety risks, arguably the most obvious is the risk of falling. There are regulations your employer must adhere to in order to prevent the risk of a fall from height. These include (but are not limited to) providing you with the correct equipment that is of a safe, operational standard and ensuring you have received appropriate training. If you’ve had a fall from height which has caused you injury, you could be entitled to claim for compensation. 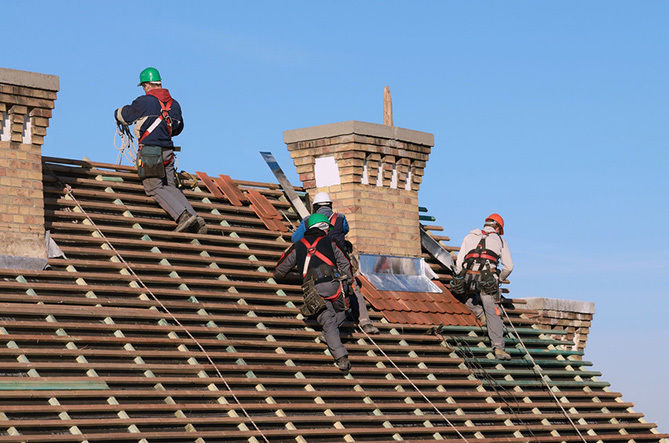 At Centenary Solicitors we have a team of dedicated Personal Injury Solicitors who are experts in the Work at Height Regulations Act 2005, and highly experienced in dealing with fall from height Injury Claims. Whether you are employed, self-employed, a contractor or a sub-contractor, our team are able to assist. We will ensure we pursue the claim against the correct opponent in such a way that won’t affect your future working relationships, wherever possible. You will be kept well-informed throughout the entire process as we negotiate to secure you the maximum compensation possible for your injuries and losses. We operate on a No Win No Fee basis meaning there is zero financial risk. In the unlikely event that we are unable to win your claim, you will not be charged a penny – this is the risk we take! What can we include within your claim? If you’ve been injured as a result of a fall from height, contact us today. Our Solicitors will work hard to ensure your claim is processed as efficiently as possible and you receive the maximum amount of compensation for your injuries and losses. You can complete the simple claim form to the right, select ‘contact us’ above, or speak to a member of our team by calling 0800 1123 256.